Our material is for reference purposes only. Please talk to a qualified solicitor about your personal injury case at the first opportunity. The material on this Web site has been provided for general educational purposes and does not in any way constitute legal advice. 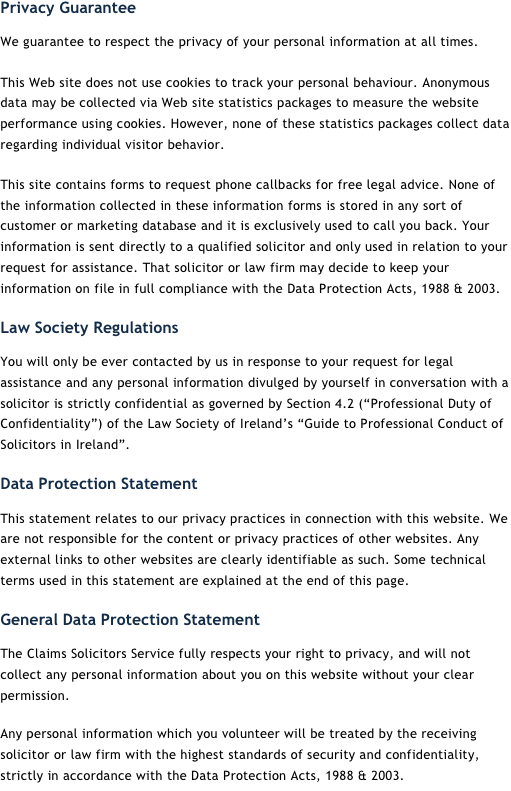 You should not act on, or rely on, anything you read on this Web site without first seeking the independent legal advice of a qualified solicitor, barrister or doctor, as appropriate. In all circumstances, we very strongly recommend that you have nothing to lose by first contacting a solicitor to discuss your claim. 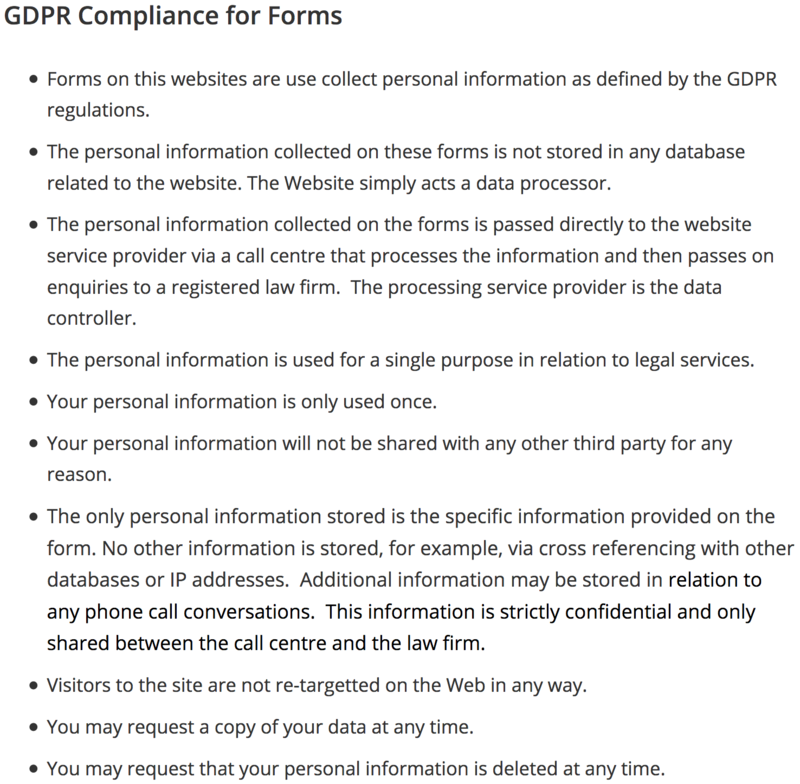 We will respect your privacy at all times and do not store any personal information. We do not employ cookies on this Web site but do use Web site statistics packages to measure the performance of the site. However, none of these packages collect data regarding individual sites visitors. 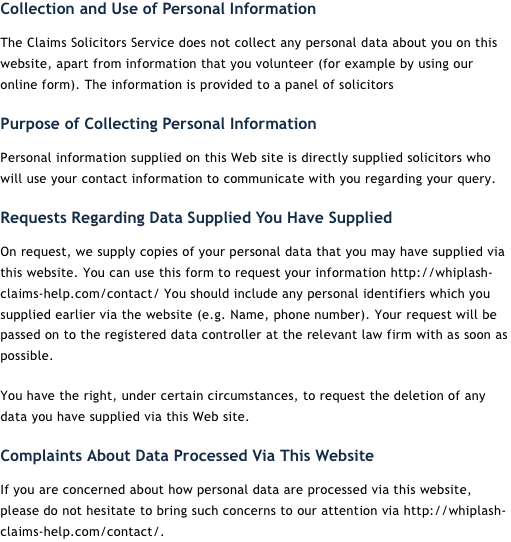 When you fill in our form we guarantee the information is sent directly to a qualified solicitor and guarantee that that solicitor will only use the information in relation to your request for assistance. Talk to us now by calling our free advice line or fill in our call back form below.